There is a little county in North Carolina that doesn’t get much national press. But Rowan-Salisbury Schools in North Carolina made a historical move for teachers in our state today. With that move they blew up regional social media posts with teachers across the state talking about what it is they have done. 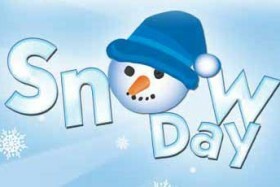 Due to predicted low temperatures over the next few days with little or no changes anticipated, schools are cancelled for students on Monday and Tuesday. These will be optional workdays for staff with the option of working from home with supervisor’s approval. Sightwords.com is a comprehensive sequence of teaching activities, techniques, and materials for one of the building blocks of early child literacy. This collection of resources is designed to help teachers, parents, and caregivers teach a child how to read. Sight Words combines the latest literacy research with decades of teaching experience to bring you the best methods of instruction to make teaching easier, more effective, and more fun. Classroom Management can be tough. Often students need visual cues to help them stay on track. 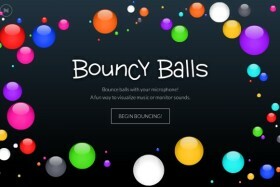 Bouncy Balls is a fun way to allow students to help monitor the noise in your classroom. Bouncy Balls works especially well during small groups, workshops, cooperative learning, literature circles or other group activities. Use it with your staff in faculty meetings! Project the site your interactive whiteboard and the students will manage themselves. Just a quick tip: You may want to allow some time during indoor recess to allow some practice time. Students are always fascinated when you first use this site, so you will want to do this a couple of times to be prepared for instructional use! I have always enjoyed word games. Free Rice is just that a simple word game that has been around since 2007. 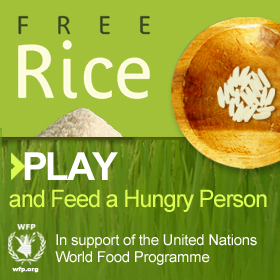 Free Rice is a non-profit website that is owned by and supports the United Nations World Food Program. It is made possible by the generosity of the sponsors who advertise on this site. •	Provide education to everyone for free. •	Help end world hunger by providing rice to hungry people for free.